Home is where the art is. Is that how the saying goes? If you ask us, the answer is yes. 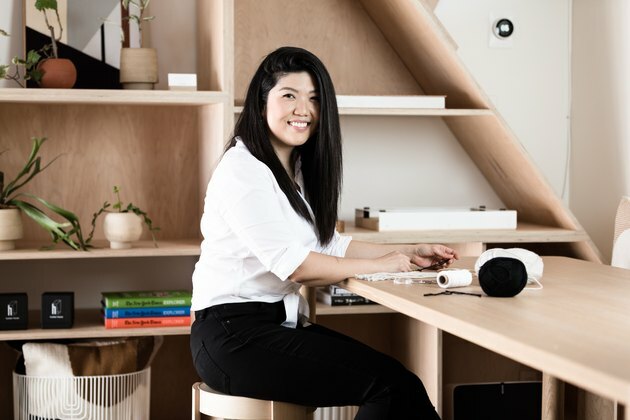 Take a look at Hunker House — it's obvious that our team loves art: from our wall mural to our bookcase (made from plywood, of course), it's everywhere. 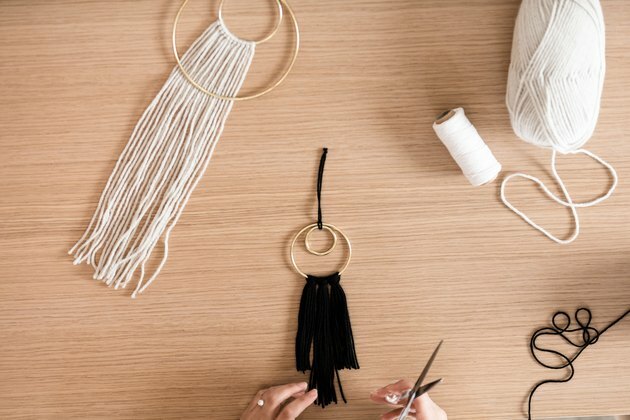 And one thing we firmly believe is that there is an artist in all of us, hence our passion for featuring original DIYs on our site. We want to help you, dear reader, make your own art, be it large or small. 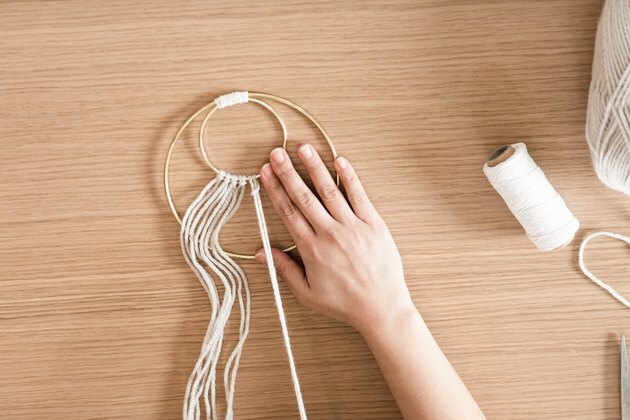 And so, we recently had the pleasure of welcoming Amy Kim from Homey Oh My to Hunker House, where she showed us how to make a double hoop wall hanging IRL that is simply adorable. (And, perhaps even more importantly, doable.) 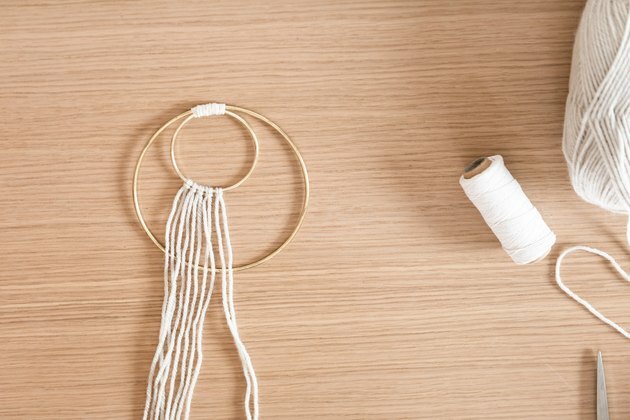 Here's how you can create your own at home. 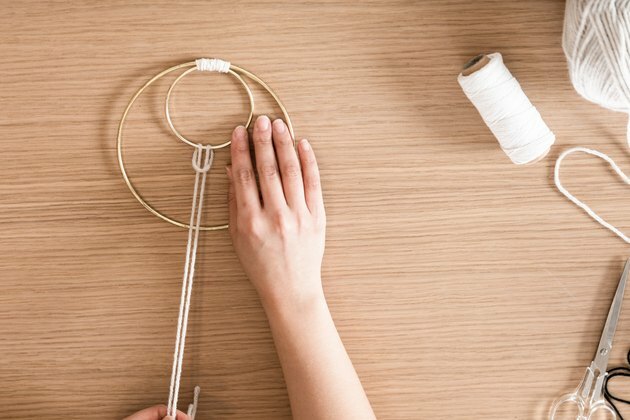 Tie a lark's head knot with the string around both rings. 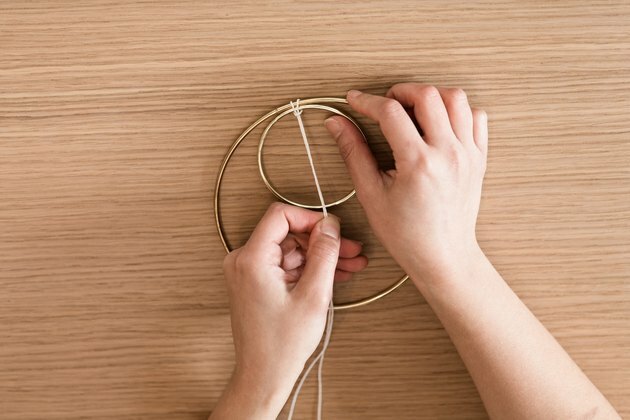 Do this by folding the string in half and creating a loop, then pulling the ends of the string around the rings and through that loop. 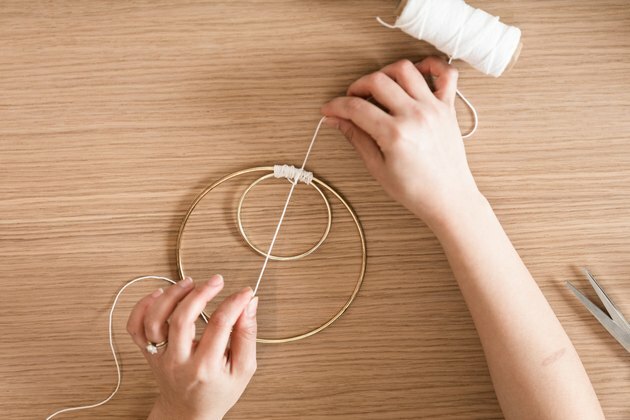 Wrap one end of the string around both rings down one side about one-half inch. 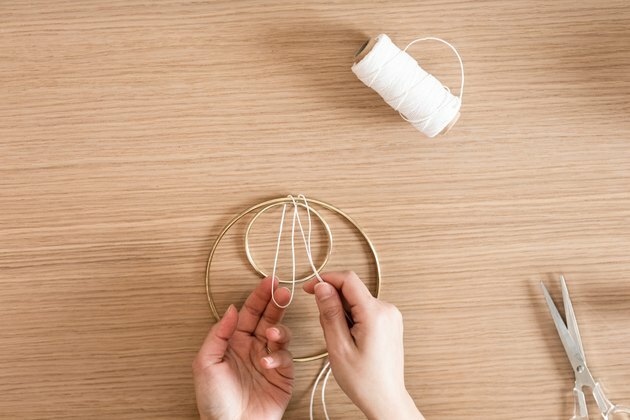 Do the same with the other end of the string down the other side of the rings, making sure each string is being wrapped in opposite directions (if one is wrapping clockwise, wrap the other string counterclockwise). 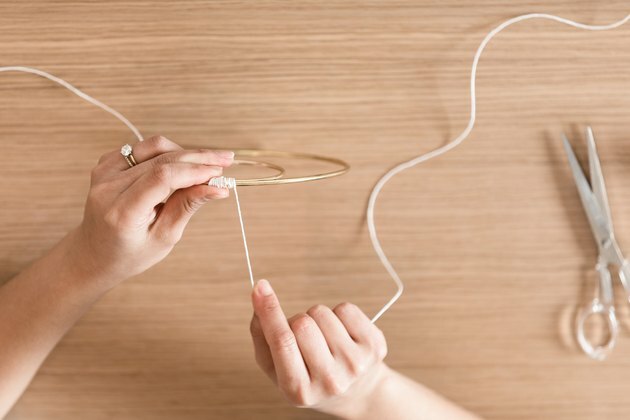 Wrap the strings back to the center before double knotting them in the center with the knot facing the back. 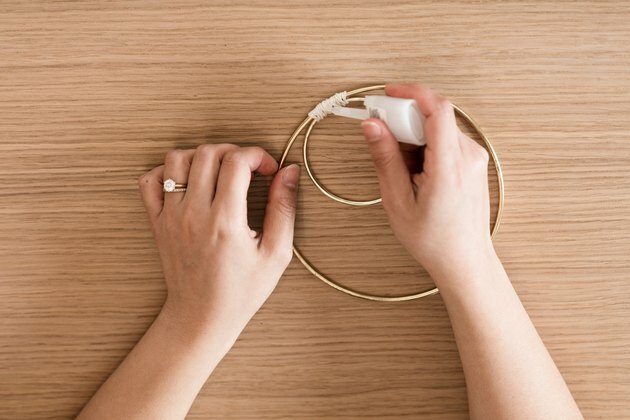 Apply a couple drops of glue to the knot to secure it. 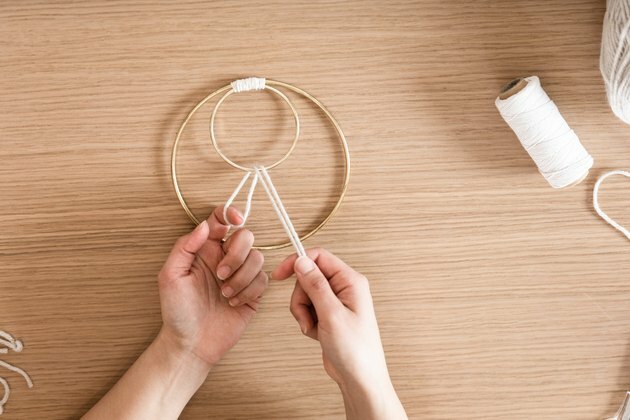 A gel/liquid formula works best so that it soaks into the string. 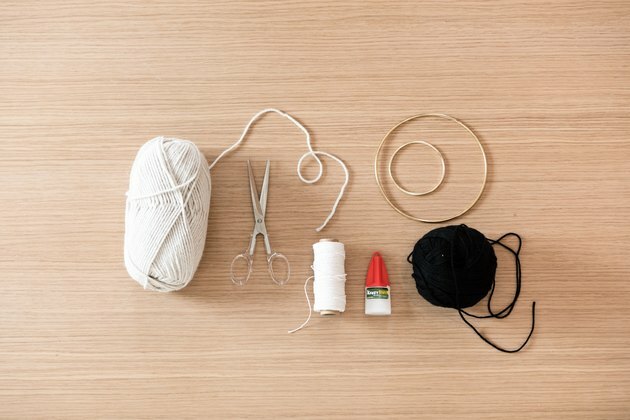 Cut pieces of yarn a little longer than your desired length — you will cut off the ends later to even them out. 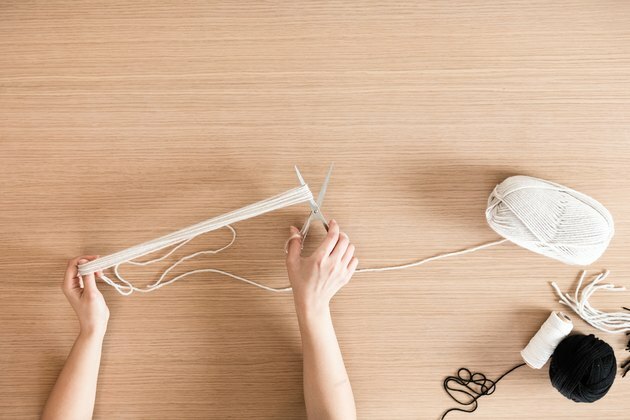 A quick way to cut multiple pieces of yarn is to loop it around your arm and hand like so, then cut along one end of the yarn loops all at once. 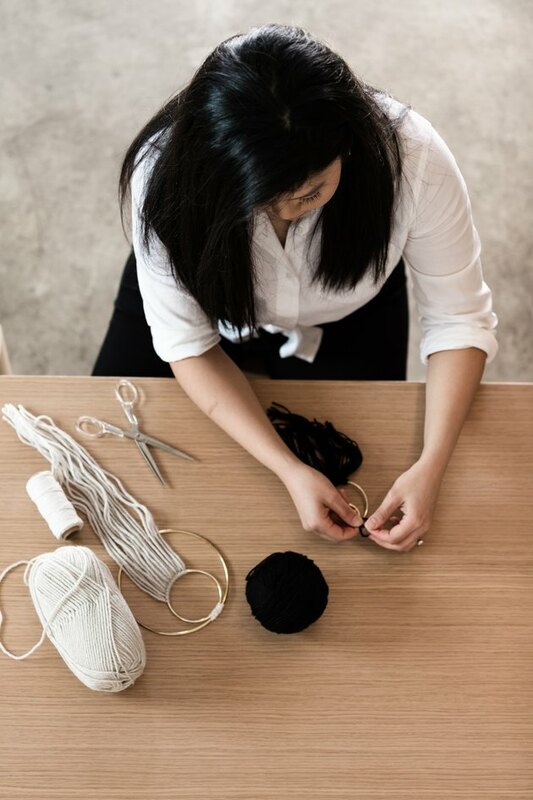 Tie these pieces of yarn around the smaller ring in lark's head knots. Do as many as you like until you've achieved your desired fullness. 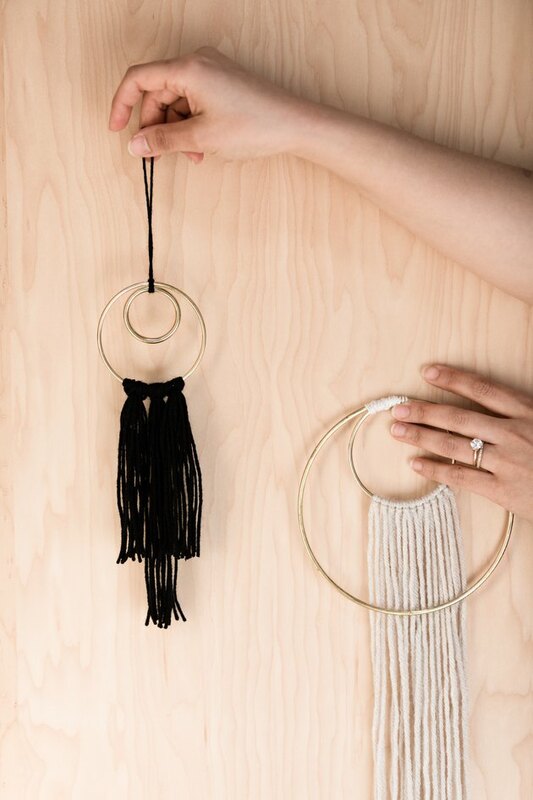 You can either stop here or tie yarn onto the second hoop as well. 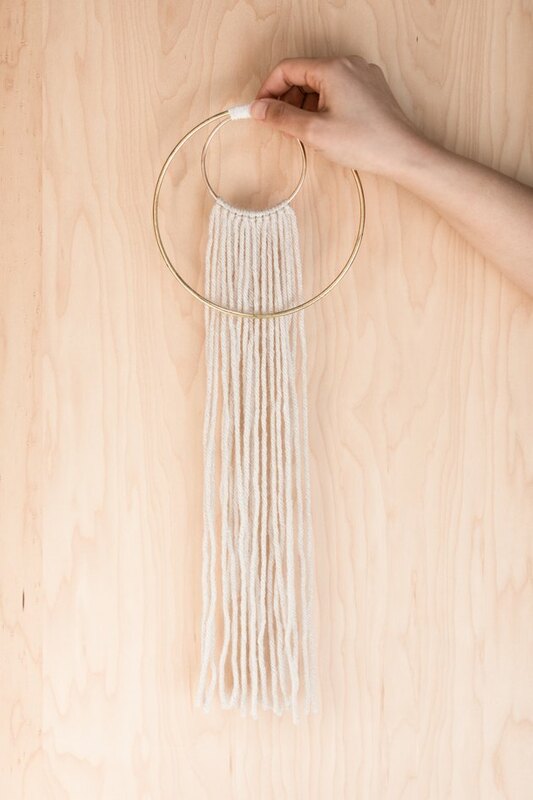 Even out the yarn at the bottom by cutting straight across, at an angle, in a staircase pattern, or however you'd like!